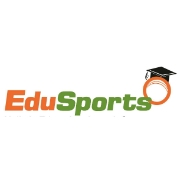 The latest Annual Health Survey by EduSports’ which was launched 9 years ago to understand the overall health and fitness levels of children in schools revealed that children are displaying alarmingly poor fitness levels all across India. The nationwide study has covered 1,53,441 children in the age groups of 7 years to 17 years from 279 schools across 113 cities and towns in 21 states. Body Mass Index (BMI): Is a value derived from the weight and height of an individual and is used to gauge whether a person is within a healthy weight range. Aerobic capacity : The ability of the heart and lungs to get oxygen to the muscles. Anaerobic capacity : The total amount of energy from the anaerobic (without oxygen) energy systems. It is useful during high intensity short duration exercises or tasks such as sprinting. Abdominal or Core strength: Strength of the muscles of the torso which helps to determine posture. Flexibility : The ability of one’s joints to move freely. Upper body strength : The strength of muscles such as Pectorals (chest), Rhomboids (upper back), Deltoids (outer shoulder), Triceps (back of upper arm) and Biceps (front of upper arm). Lower body strength : The strength of muscles in the legs such as quadriceps (the muscles on the front of the upper leg), Hamstrings (the muscles on the back of the upper leg), Gluteals, Hip Flexors, and Calf muscles. 2 in 5 children do not have healthy BMI. 1 in 3 children do not posses the desired flexibility. 1 in 5 children do not have the desired abdominal strength. 1 in 3 children do not possess the desired anaerobic capacity. 2 in 3 children do not have the adequate lower body strength. 2 in 3 children do not have the desired aerobic capacity. 1 in 2 children do not have the adequate upper body strength. The study showed that only 60% of the children had healthy BMI. Although the current data is alarming, there has been a 50 % (40 % to 60 % of children having healthy BMI) increase in the number of children with a healthy BMI. There has also been an improvement in the number of children having ideal upper body strength (50 % increase), flexibility (33 % increase) and anaerobic capacity (100 % increase). The survey further shows that only 47 % government school children had a healthy BMI (as compared to 61% for private school children). The percentage of government school children who are underweight is exceedingly high (39 %) as compared to private school children (15%). Despite this, government school children are healthier than the private school children in various fitness parameters such as lower body strength, flexibility, aerobic and anaerobic capacity. Across all regions more than two-third of the children do not have healthy BMI. The northern, western, central and southern parts of India all have shown close to 40 % of children having poor BMI. The east lags behind with 51 % children having unhealthy BMI. The survey further shows that girls fared slightly better with 63% of them having healthy BMI as compared to 59 % of the boys. Girls were observed to be fitter than boys in several fitness parameters such as upper body strength, abdominal strength and flexibility. However, the boys outscored the girls in the fitness parameters of lower body strength and aerobic capacity.